Controlling sound between units at the Auberage of Tyler apartment community in Tyler, TX is a top priority for Abby Development and builder Hand Construction. 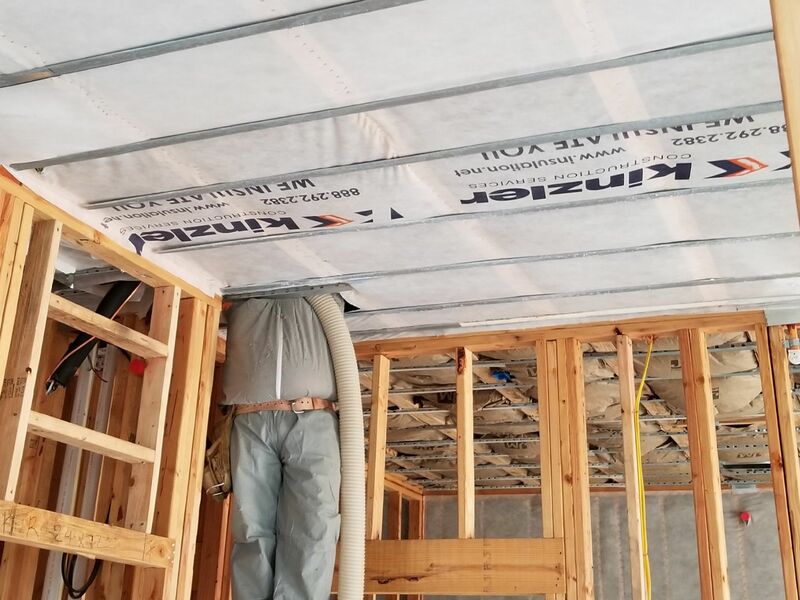 The local experts at Kinzler Construction Services installed rockwool blown-in-blanket insulation between floors and in shared walls at this new, 234-unit, high-class complex. Because of its high density, rockwool is great at reducing noise and absorbing sound. Energy efficiency and indoor comfort are not only enjoyed by humans — but elephants too! Kinzler Construction Services was recently hired by Riley Harris Construction to install closed cell spray foam on the walls and ceiling of the Caldwell Zoo’s new elephant enclosure. It’s just part of a huge remodel of the African Outlook at this Tyler, TX zoo. We followed our proven process for quality installation by inspecting the completed job and grading our installers on the quality of their work. This building now has a level of efficiency, safety and comfort that can’t be beat for man or beast! Contact us today to see how we can partner on your next project! The homes Kinzler is working on now are part of season five and six of “Texas Flip and Move,” set to air on the DIY Network beginning February 10, 2017. “Texas Flip and Move” features three teams of hard-working Texas real estate entrepreneurs competing head-to-head in a fast-paced real estate flipping competition. The flippers are under the gun to buy low, work fast and sell high. When they buy a house at auction, they have to move it off the property that day, a task that can be downright dangerous. Once the house is moved to their lot, it’s a race against time to get it renovated and ready for auction. Kinzler Construction Services is teaming up on the project with SWD Urethane, a supplier of insulation products across the US & Canada. 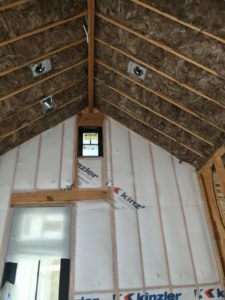 Kinzler crews are experts at installing spray foam insulation, a two-component mixture made of isocyanate and polyol resin. These two properties combine at the tip of a spray nozzle and form an expanding foam that can be sprayed onto concrete slabs, roof tiles, into wall cavities, or through holes drilled into the cavities of a finished wall. Learn more about spray foam insulation. Kinzler is a leading installer of insulation products, gypsum concrete, fireproofing & air barrier. Kinzler also distributes a full line of construction materials, including drywall, steel, acoustical ceiling tile & EIFS. With locations across America’s heartland, Kinzler is a rapidly-growing, family-owned company offering industry-leading service to the best customers. For information about our products, services or how to join the Kinzler team, please visit www.insulation.net.